There’s still a few projects I would like to do on Nocturne, but once that’s sorted I think we’re ready. I just need to convince the humans! Well Bailey I bet they canot turn down that look you have on your face wanting to go so bad. Ah, Bailey!! I have the purrrrrrrrrrfect solution for your woes with the humans! Winter’s coming up, Bailey! Sailing won’t be so much fun then, you’ll just have to be patient! 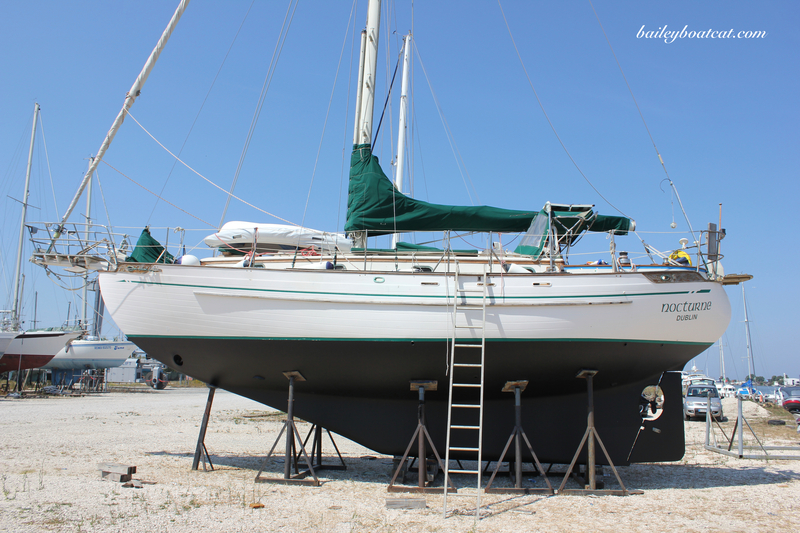 All these other things are a deplorable waste of good sailing time – and meow it is! I don’t know why they are so hard to convince, Bailey! You’d think they’d make it a priority, just like you! Aren’t we Humanz almost impossible to live with Bailey?? I constantly frustrate Nylablue with things that must be done: dishes & cleaning; going out to shop & pay the bills & get her supplies & then the endless Doctors appointments & Chiro & even the Dentist!! It is a wonder she still wants to live with me, hahahahaha…. 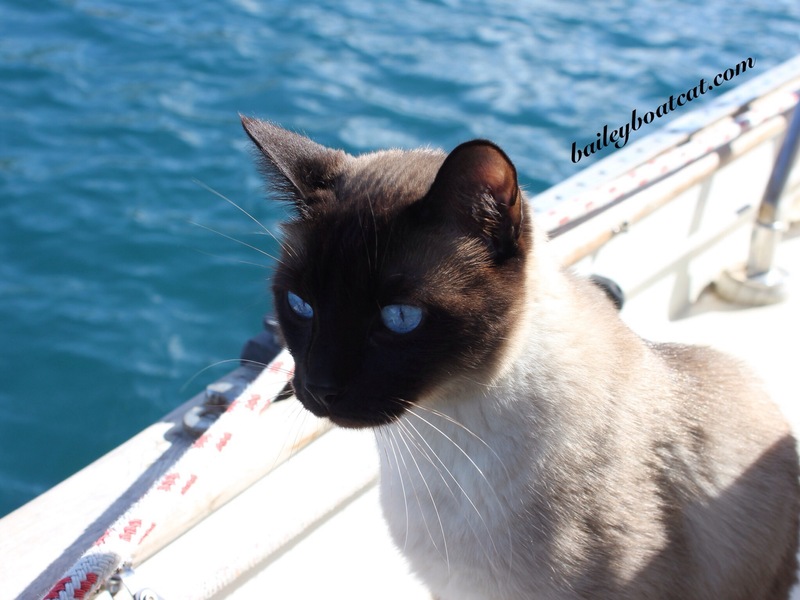 Bailey I bet that your humans wish they COULD just go cruising BUT remember, gotta have money and money means work…..never fear – I think they are already highly motivated and wanting to sail all the time too! Patient Bailey – Patience! Oh, Bay, it can be frustrating dealing with humans. Try to be patient, I’m sure they would rather be sailing than anything else too, but everyone must work to be able to afford play. You will be out to sea soon. I know the feeling!!!! Except I’m one of those humans using excuses. At least you already have a boat…. Silly complainers. Whee just need to put our paws down! Too bad you can’t go sailing yourself, Bailey! Bailey if I could sail I´d take you out for a little hop across the waves. Patience my feline friend.